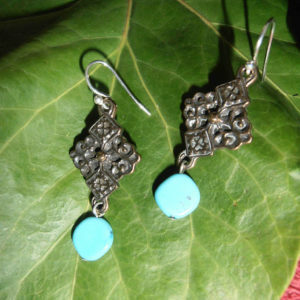 Cast Bronze and Sterling Silver French Baroque Style Earrings. 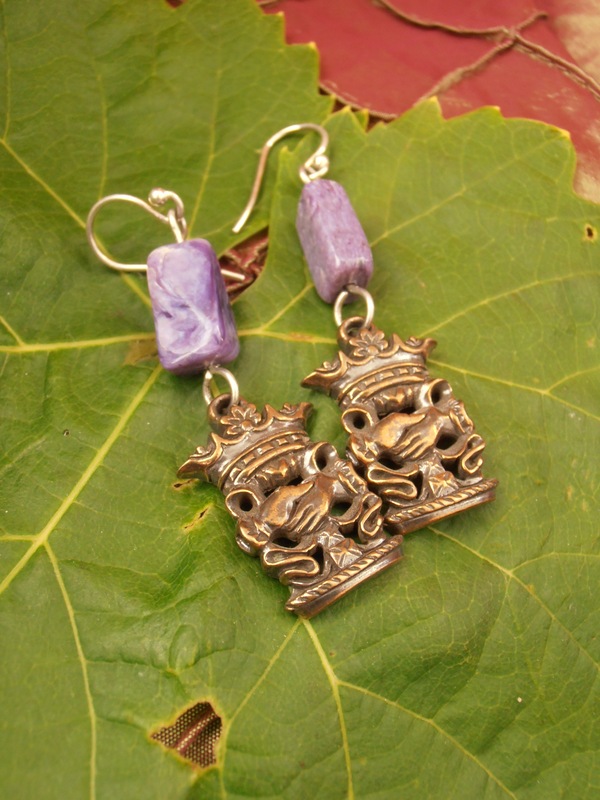 This style features bricks of natural Siberian Charoite. Approximately two and one quarter inches long, hooks included. Friendship. Love. Amity. Timeless desires. Timeless sentiments. 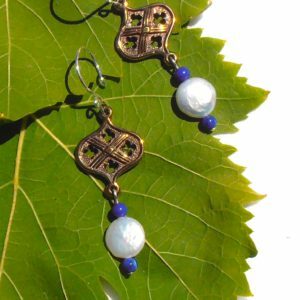 These earrings are inspired by a Baroque French design. 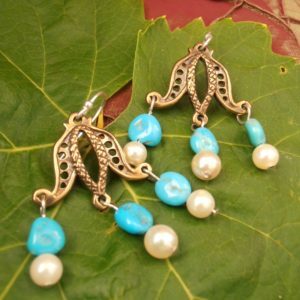 Playful and sentimental, they are also versatile and individual. The crowned clasped hands symbolize everything that is most precious in life, Friendsip. Love. Amity. True jewels of the Baroque era. Made today, just for you. Cast bronze, purple Charoite bricks -mined in Siberia, almost impossible to match so each pair is individual, just like you- all suspended on sterling silver hooks.